Although his dear departed parents were famous actors, PI Bryan McFadden is about as far from Hollywood as you can get. The former military man is reluctant to get involved in such a bizarre case, but it quickly becomes obvious that Marnie is in grave danger, and he is compelled to help. It’s unclear if the killer is an obsessed fan or something more sinister. Could the show’s cast be cursed? How can Bryan keep Marnie safe when it becomes apparent there’s a force determined to make this her final curtain call? 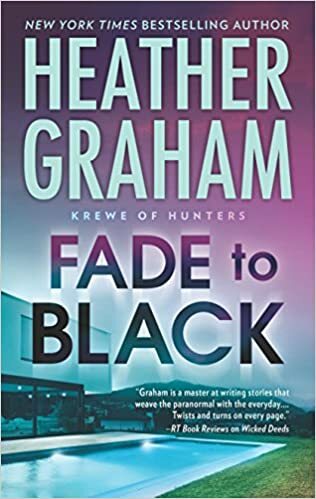 Although you knew, in the end, Adam would gain another agent for his unique Krewe, you never know who the killer is until the last chapter is closing in. Heather had me guessing again and again at which character was the villain. Although my first assumption turned out to be correct, I changed my mind several times. Spinning a story is a talent, and Heather can spin hers with them best of them! I have to admit, the connection between Bryan and Mauve happened quicker than her other leading male/female characters, and that speed was somewhat disappointing, the story still held me captive. Either I need to learn to pace myself better, and put the book down more often, or Heather needs to lengthen her stories. Starting one of her works doesn’t mean I should finish it that same day! But it never fails to happen. Now, if only I can hold out until the next book from the Krewe comes out………….